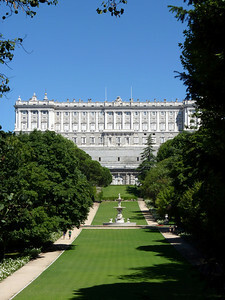 The last time we were in Madrid we missed a few fun things to do, so this time we made sure to do them! 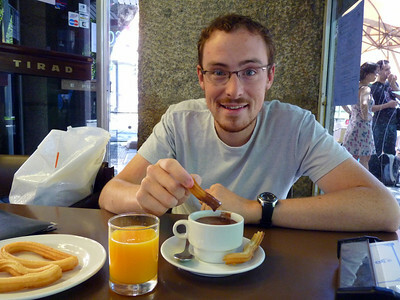 The first is known as “Churros con Chocolate”, which as you can see is a delicious savory donut (which is not covered in sugar like in the US) and a pot of very thick hot chocolate, almost like a pudding. It is served for breakfast and is oh-so-delicious. 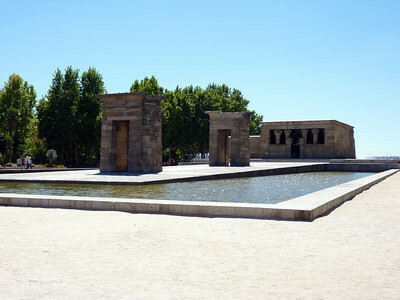 We also wandered around Madrid a bit, and stumbled onto this cool monument, an Egyptian temple imported into Madrid as recognition of Spain’s assistance to Egypt in one or another thing. It is a really neat temple but we were unable to go inside as it is only open a few hours per day. 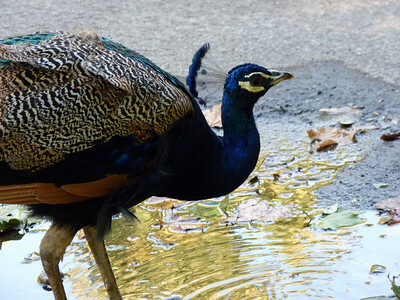 Afterwards we went to a giant park near the palace and walked around for a while, spying peacocks (including a baby) and beautiful grounds. We continued on and purchased some Jamon Iberico straight off the leg! 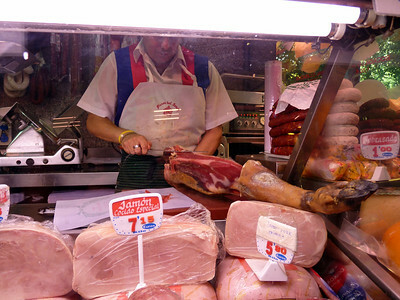 If you only eat one thing in Spain let it be Jamon!